This comic book is from the sensational Pacific Coast pedigree and is the #2 rated copy. It has white pages, perfect corners, incredible edges and unbelievable colors. Only some very slight stress at the spine and the bottom front cover keeps it out of the 9.8 range. 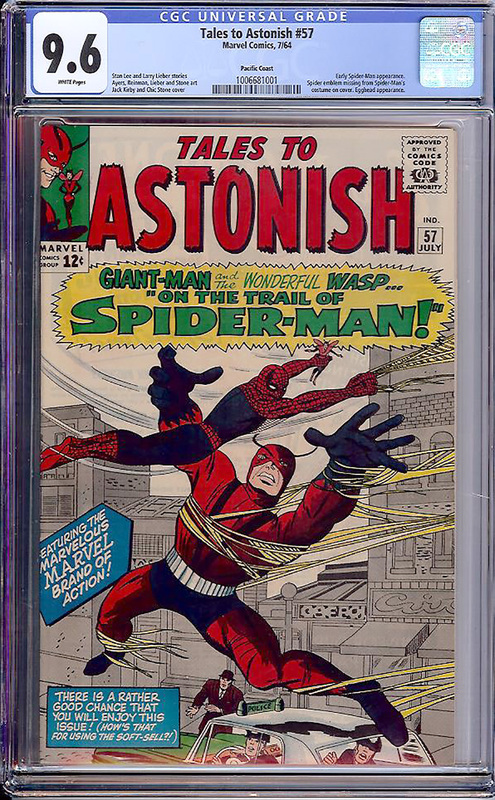 Features a very early Spider-Man appearance (July, 1964). Trails only 6 in NM/M.